In the evolution of tactical shooting platforms and stances, there are usually intelligent compromises made between respective pluses and minuses. One stance may be arguably better for slower precise fire while another may be better suited for close-in work, such as with room clearing. The debates rage on. In the end, it is the skill of the shooter that counts, but stacking the odds in one's favor is still the goal of tactics. Center Axis Relock (CAR), a system, not just a platform, may be the next significant step in this never-ending evolution of weapons handling. CAR is truly different in the performance spectrum, the most significant issue to the armed professional. The development of CAR was based on the requirements of close-range combat with a handgun, some of which are: the need for speed, optimum use of cover, ambidextrous ability, realistic weapon retention and performance under the negative effects of stress. The shooting system works in harmony with the body when under stress and is particularly reliable in close quarter situations. The system was developed to improve marksmanship by focusing on natural visual focal points and gross motor movements. CAR makes the use of the non-dominant eye practical in its system. The stability of the shooter is improved by creating a lower center of gravity and a secure base. CAR is shot from the field interview stance, which makes it the most stable body position a person can realistically use. The stability of the firing grip in CAR offers a very noticeable improvement in recoil control, which translates into the ability to dump rounds into a target at a blistering rate. 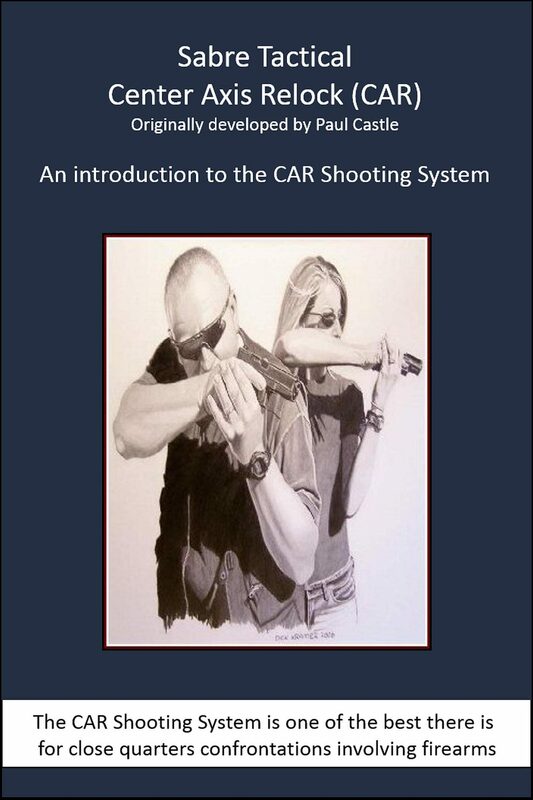 In CAR there is no dominant or strong side, so a shooter need not change his body position to engage a target 180 degrees from his muzzle, he needs to just swap grips. CAR lives up to its definition as a non-discriminating platform for stability.